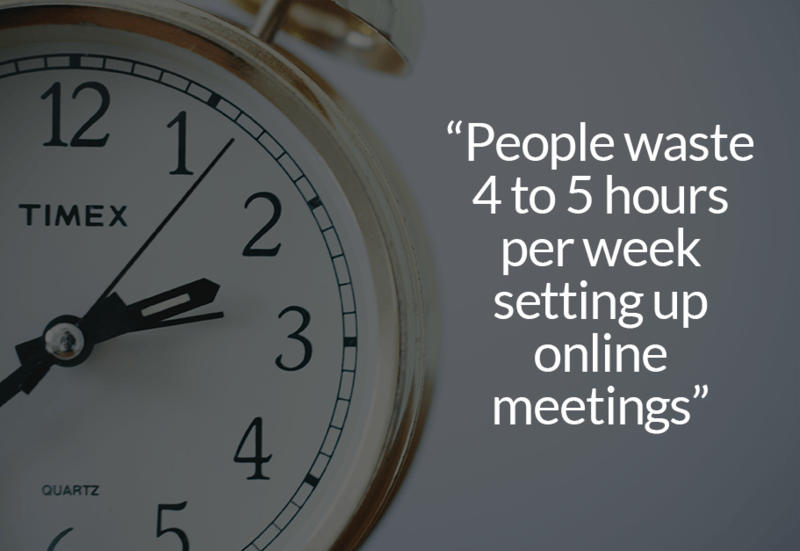 Have you ever calculated the time you spent arranging and managing your online meetings with customers? Most likely you’re wasting up to 5 hours per week on this! 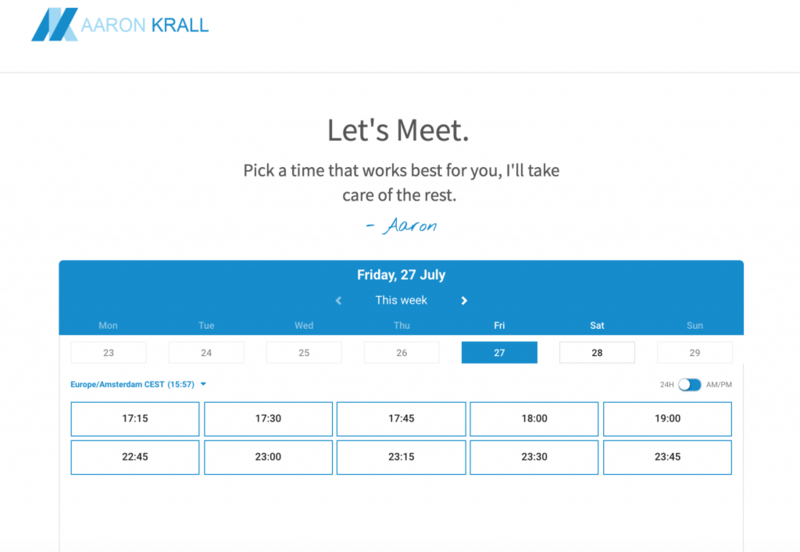 Why not empower your visitors to book an automated appointment directly in your agenda? That’s a great way to increase your conversion rates while reducing friction! If you’re like most businesses, you’re likely spending a lot of time and resources on getting the right leads to your website. Now, when they land, you want them to soak up the content and click on a CTA that will get them closer to conversion. The clearer and more specific your CTA the most likely it is for your visitors to take action. Embedded booking forms will prompt your visitors to schedule discovery calls and/or demos while they’re still on your website. The best part is that embedded forms are fully automated and help you skip the scheduling hassle! Aaron Krall is a guru when it comes to SaaS onboarding. His methods help businesses to convert even the highest hanging fruits out there. Aaron uses Webinars for large group classes and then leverages 24sessions to connect with his clients 1-on-1. Aaron created a really intuitive example to connect with his apprentices when they’re in need of help. The page, with the striking title ‘Grab Coffee’ is casual and gives the visitor all necessary information about the meeting. Thanks to the branded features in 24sessions the whole experience is fully branded. 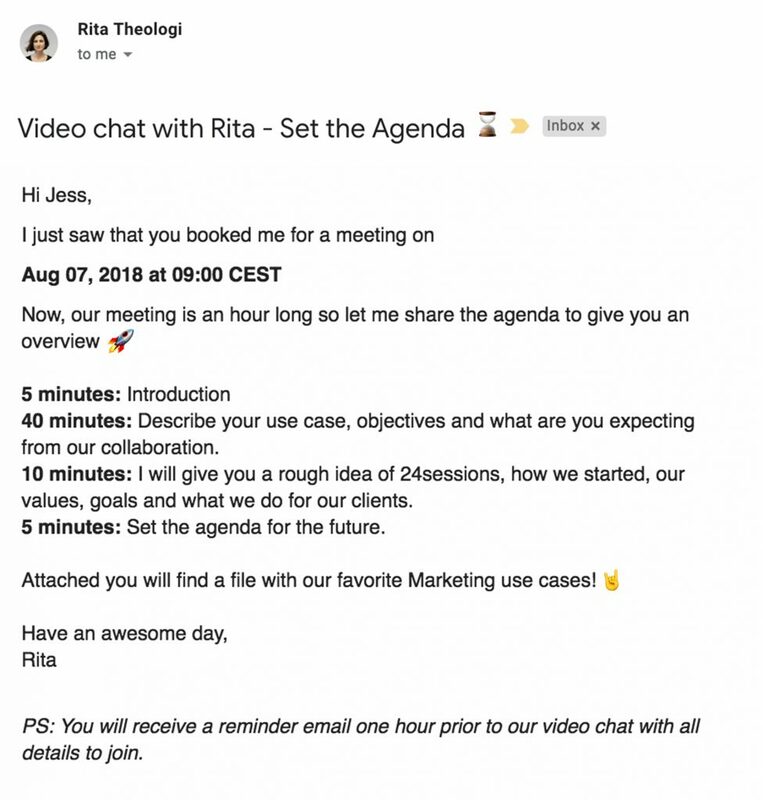 When a new meeting is booked, both parties receive personalized email notifications about what to expect during the video call. When customers book you without prior communication, you risk getting to the meeting with a solution that may not be suitable for their use case. Gong.io did some amazing research on “How to Sell Against the Competition”! For example, did you know that discussing your competitors at the beginning of the cycle correlates with a 24% higher likelihood of closing the deal?! Below you’ll find another really cool example from our client, Ruler Analytics (Ruler Analytics is Visitor Level Multi-touch Marketing Attribution for Forms, Call Tracking & Live Chat automatically integrated with your CRM & Analytics). 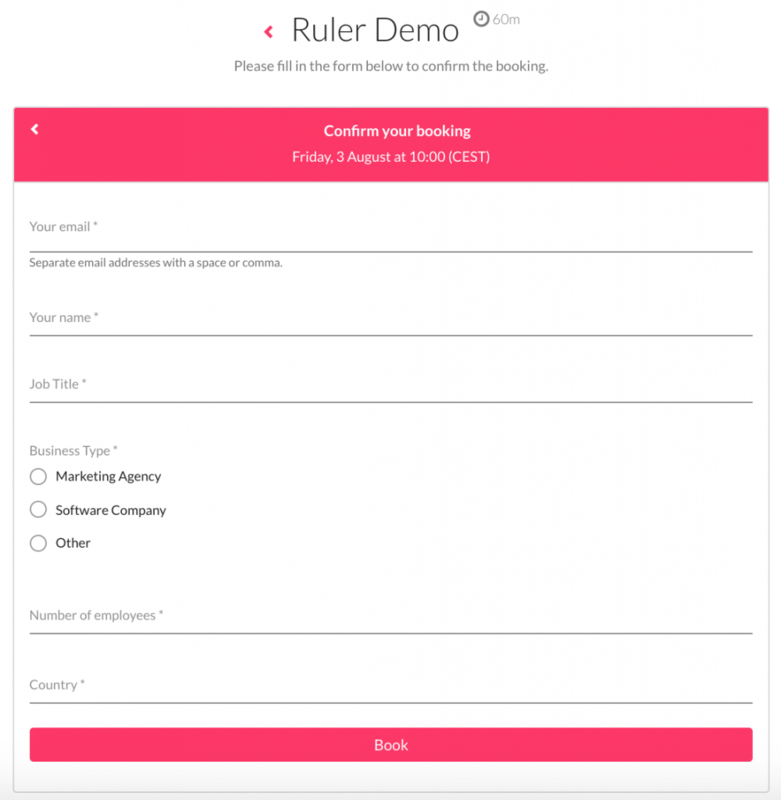 Ruler leverages 24sessions to give the most amazing demos, while saving tons of time on scheduling/setting-up meetings. After gathering some basic information like name, email, etc., customer is asked to give some information like company headcount, business sector and location. This way the inside sales-team can prepare perfectly for every lead that comes in. Pro Tip: To make your qualification even more targeted, customize your qualifying questions per meeting type. Adding qualifying questions before a meeting is scheduled helps YOU get prepared. But what about your guest? How can you help them get prepared for your meeting as well? For example, let’s say your clients are Marketing Agents who use your service to increase sales. 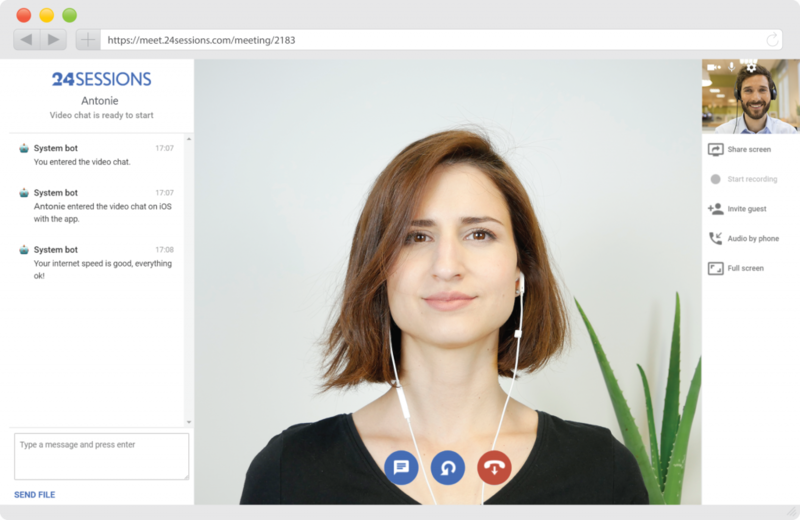 Why not give them a gist about what to expect during the meeting or even get them a bit excited before your call? How cool would it be if you directed them to a specific blog post, white paper or even a quick questionnaire, just to bring them up to speed on certain topics? By customizing the email notifications your customers receive help to prepare for the upcoming meeting! Click here to learn more about how you can embed your booking form to your website. 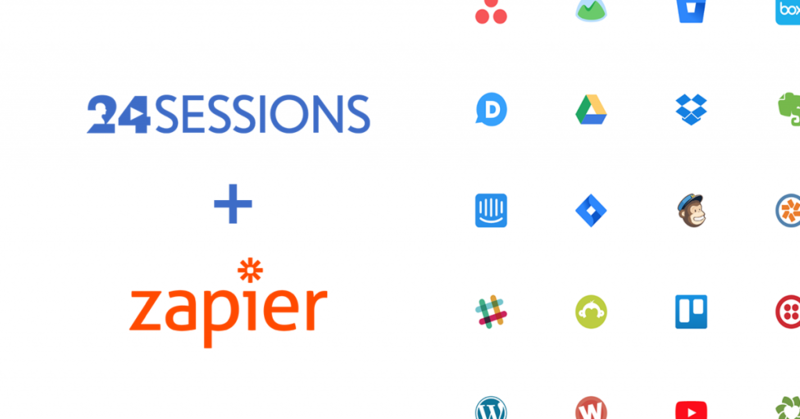 Next Post Connect 24sessions with Your Favorite Apps Using Zapier!